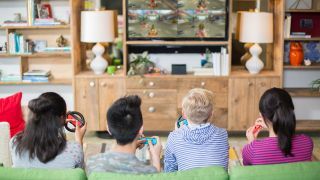 With each passing day the Wii U increasingly looks like the underachieving older sibling of the child prodigy that is the Nintendo Switch – it’s now been revealed that in just six months the Switch has sold half the number of consoles the Wii U did in its entire five-year lifetime. According to Reuters, the Switch has at this point sold just under eight million units, and the company is now forecasting one-year sales of 14 million rather than its original 10 million. By comparison, it took the Wii U five years to sell 13.56 million consoles. Managing to beat five years of sales in just one would be a fairly good indication that Nintendo has created a hit with the Switch – or at the very least would underline just how much of a failure the Wii U was. Nintendo has recorded revenue of 219.9 billion Japanese yen ($1.9 billion) for the third quarter of this year, which is significantly more than the 174 billion yen expected. In terms of software, in the past six months alone Nintendo has managed to sell more than 22 million Switch games, bringing the total number to over 27 million. And those numbers don’t even take the recently launched Super Mario Odyssey into account. Given the high levels of anticipation for that game, and the critical acclaim it's been greeted with, it’s likely Nintendo's numbers will increase significantly in the run-up to Christmas. Unsurprisingly, The Legend of Zelda: Breath of the Wild is currently the highest-selling Switch title, with Mario Kart 8 Deluxe coming up fast behind it. Nintendo has also reported a 55% increase in its digital sales, something which can probably be attributed to the Switch given the number of popular digital-only third-party titles it supports. So the Switch is certainly proving to be a popular release for Nintendo, and it seems likely that the only thing that could significantly hinder its success at this point is Nintendo itself. In order to give the console the best possible chance of achieving its full sales potential Nintendo will now have to ensure that it supplies enough consoles to meet demand, something it’s been struggling with. It's something Reggie Fils-Aimé, head of Nintendo America, recently expressed regret over, and something he promised the company was working hard to change. Given the success of the Switch, the continued success of the DS line, the popularity of the NES and SNES Classic miniatures and the ongoing push into the mobile market, it’s highly likely that 2018 is going to be a strong year for Nintendo.